Armed forces in Norway have prepared transportation, barracks and sleeping arrangements for 3,000 migrants in preparation for a “mass arrival”. The country is said to be braced to receive a large number of migrants as the number of people leaving Syria is said to have increased by at least 40 per cent this year. 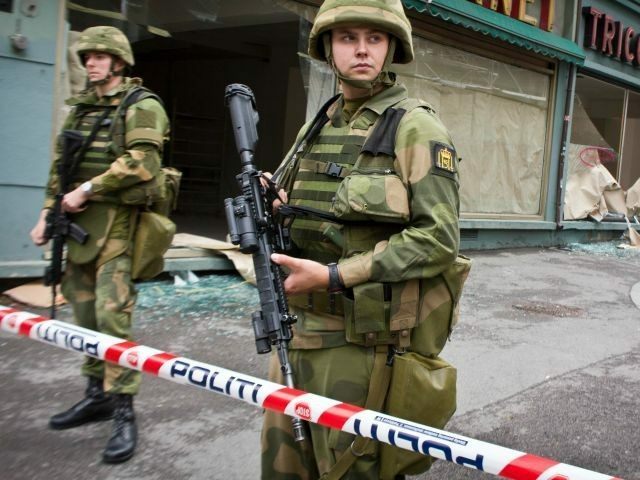 Norway’s Ministry of Defence (MOD) has said military resources will only be used as a last resort once all civilian capacity has been exhausted, but this is something which is near to happening already, reports The Local. It has been announced that people will not be housed in barracks in active military use, but the MOD has identified four sites suitable for accommodation. “This means that those who cannot get a room in a hotel, at a camp site, or a refugee centre don’t need to sleep on the street or at the immigration office at Tøyen. As well as a hot meal and bedding, migrants will be provided with clean clothing and toiletries. After the first night’s accommodation they will then be sent to the Police Immigration Unit in the Tøyen area of Oslo for registering. Nordic countries in general have seen huge increases in the number of migrants arriving in recent months, many fleeing war-torn Syria. On Monday more than 1,000 arrived in Denmark, 200 or more walking along the main motorway to Copenhagen in a bid to reach Sweden – a country with a more generous asylum policy regarding Syrian refugees.